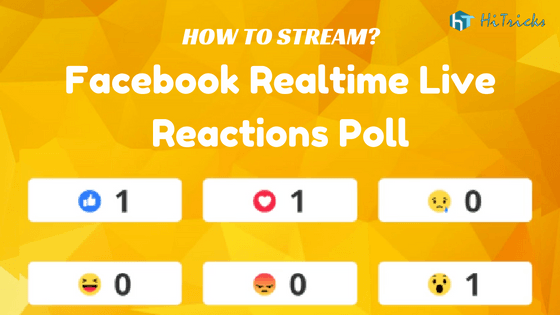 Home » Customization » How to Stream Facebook Live Reactions Poll in Real-Time? 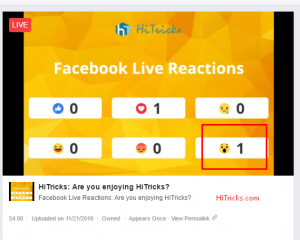 Facebook Live Reactions has become a trend nowadays. 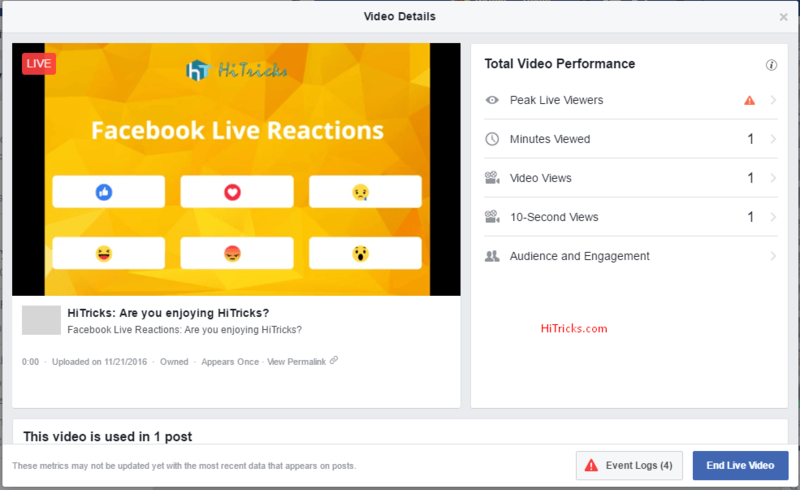 Many popular Facebook pages are building their live reaction videos with a poll count based on user responses. Many of you are wondering, how to make one such video yourself? Well, it is not hard at all. Today, I will be discussing on how to make a Facebook Live Reactions video and get engagements. 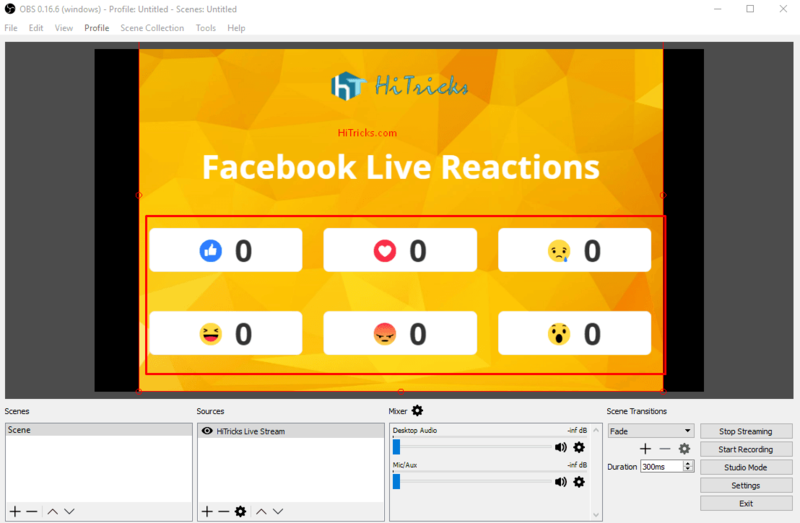 If you follow this post step by step, then you can easily make your live reactions video in under 30 minutes. And well, it won’t cost you either. It’s free as well. Who Unfriended / Blocked You on Facebook? Find out Now. 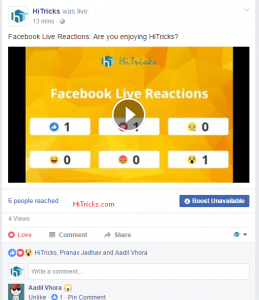 When you are going to create a live reactions video on Facebook, I am sure the primary aim is to increase engagements of your Facebook Page and get responses from your members at the same time. 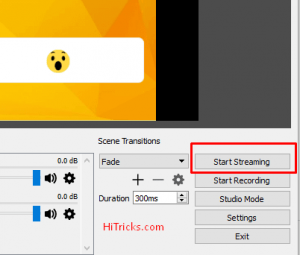 So, here’s an easy way to create your video with the smallest effort. And this won’t need too much hard work to do. All you need is to visit GoUpLive Website and try out the instant live video creator for free. Click on the Try it for Free Button. 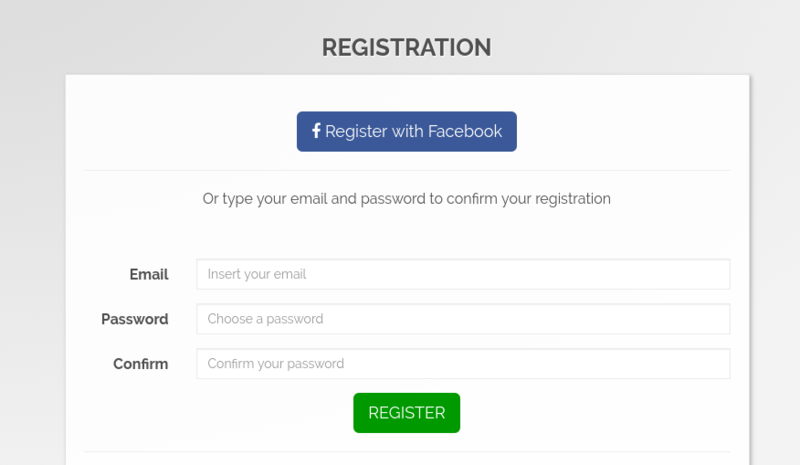 On the next page, you can register yourself with Facebook. Now you will come to the main dashboard of the website. You wll also get 120 Credits for free that will help you to go live instantly for 2 hours for free of cost. 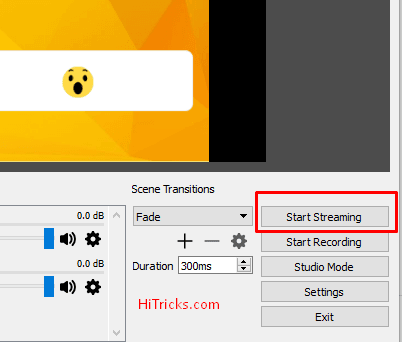 Now, you can start your streaming instantly by clicking on the +New Live Streaming Button and following the simple steps listed there. You need to select a background image at first. Hopefully, there are a lot of background images available there. You will love to use them. Next, you need to choose the reactions you want to track. You may only use the ones you need. Finally, you can move, resize and change their position, delete or edit the final picture. Then you can set up your livestream with their automatic Live Stream Wizard. As simple as that. Its easy. First, let me give you a rough idea of what we will be doing. 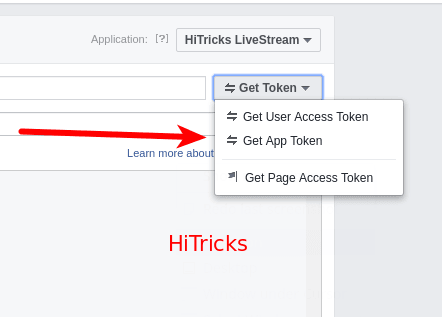 We will make a facebook developer app and generate an access token. Then, we will download the necessary items such as the Facebook reactions images, the background image, the live stream page HTML code, and the live stream software. Then we will create the Facebook Live Video on our page. 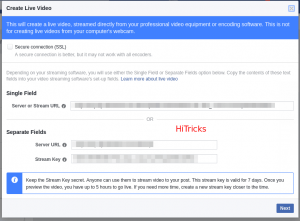 Finally, we will configure the LiveStream Software to stream the live stream page we want to stream. The necessary tedious step of all Facebook related stuff. 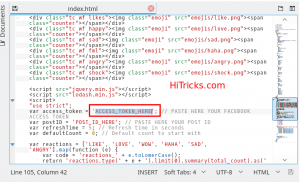 You need to create a new Facebook app from Facebook Developers Website and generate an Access Token. Most of you already know how to make one. Still, I am writing it in short so that you can understand it. 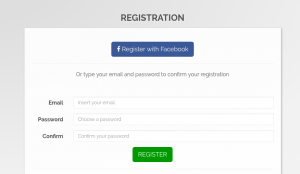 Before everything, make sure you are logged into your Facebook from the browser you are trying to sign up. Go to Facebook Developers Website and click Add New App from the My Apps Dropdown Menu on the right. It will load a popup. Select Platform as Website. It will ask you to name the app. Choose any Name. Click Create New Facebook App Id. Now, enter your Contact Email, and choose any Category from the drop-down, and click Create App Id. Now, you will come to the Dashboard of your Facebook App. Now, go to App Review Tab on the left and toggle the Make App Public from No to Yes. A Popup will load and ask your permissions. Click Confirm. That’s all. Your app is now public and ready to use. Now you need to generate an Access Token for the app. 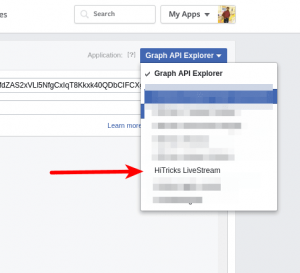 Click on Top Right Graph API Explorer Button and choose the App you just created for Live Stream. The page will reload with the selected App. Click on the Get Token Dropdown on the right and choose Get App Token. Now you shall find the access token. It should be a combination of some numbers, followed by a | and then followed by some alphabets. Copy the Access Token safely somewhere. We are going to need it soon. You need to download a background image on which you will be placing your reactions, the background-free png pictures of the Facebook Reactions, and the main live stream page HTML code. Finding these may be hard. Hence, we are providing you all those in a zip file. The next thing you need to download is the Open Broadcaster Software. 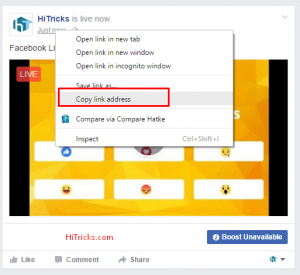 This software will let you broadcast your desired page. 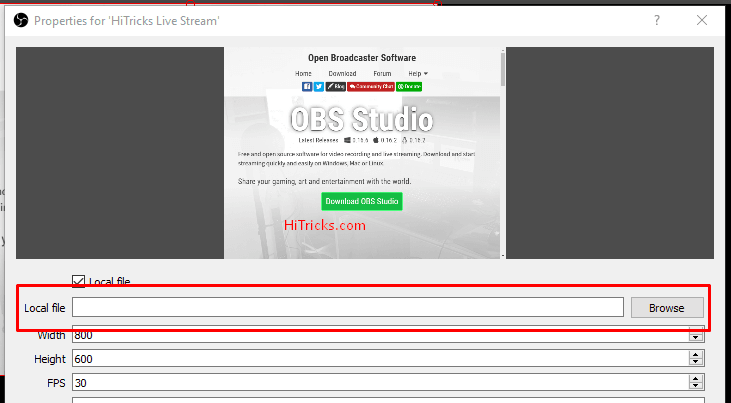 You can download Open Broadcaster Software from here. 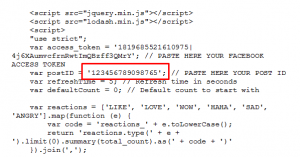 The Live Stream Page HTML Code. The Background Image for your live stream poll. Make sure you got all 5 of them. We will do just three edits here with the files you downloaded just now. First, open the index.html file with a text editor. Notepad won’t show it correctly. I prefer WordPad on Windows. 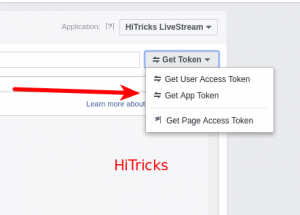 Go to Line 105 and Enter the Facebook Access Token in the highlighted area. 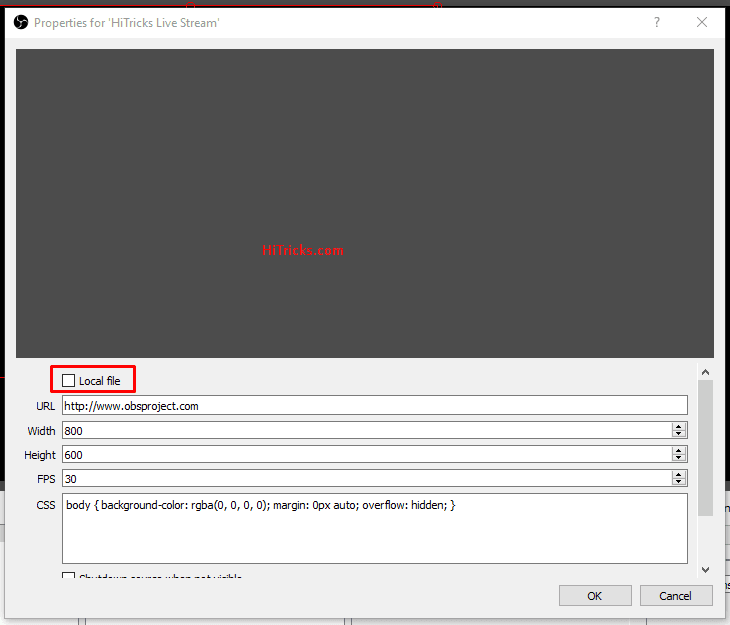 Secondly, there is a file called background.png in your downloaded zip. If you wish to change it, then prepare another image, name it background.png and replace it with the downloaded image. If you want not to change it, then you can skip this step. Finally, there is another file named logo.png which contains a sample logo text. You must prepare another logo image and name it logo.png and replace it. For quicker logo making, I recommend the free online website Desygner. You can create a sample text and download in background free png format from Desygner. However, I strongly suggest you should use Adobe Photoshop for best results. That’s all. You can browse the index.html file and make more custom changes if you know HTML and CSS. However, those are entirely optional. Now we shall start the process of setting up the Facebook Live Video. 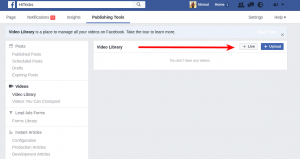 Go to the Video Library of your Facebook Page. This can be found under the Publishing Tools section. after your Facebook page link to access the Video Library. It should look something similar to this. Now click on the Live Button on the top right. It will load a popup, similar to this. 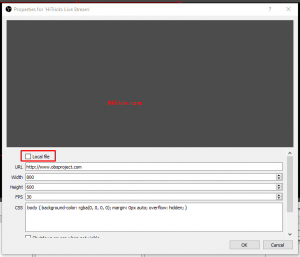 Note down the Stream URL and Stream Key. We need them in the upcoming steps. Note: Once stream key is generated, it is valid only for a week. And once you preview the video, you only have 5 hours to go live. 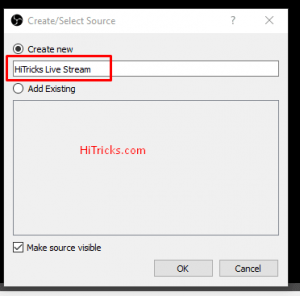 The stream url is universal for a single live video you cannot pause the stream in between and resume later. Once you are done copying them, click Next button on the bottom right. 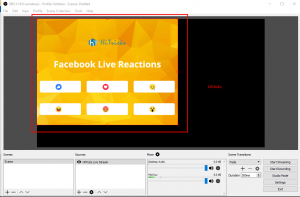 This is the page where you need to update the details of the live reactions video. After you are done filling them up, now it’s time to set up the live stream. Click on File > Settings. Then click on Stream Tab on the left. You shall see something like this. On the Stream Type Dropdown Menu, choose Streaming Services. After that, On the Service Dropdown Menu, choose Facebook Live. 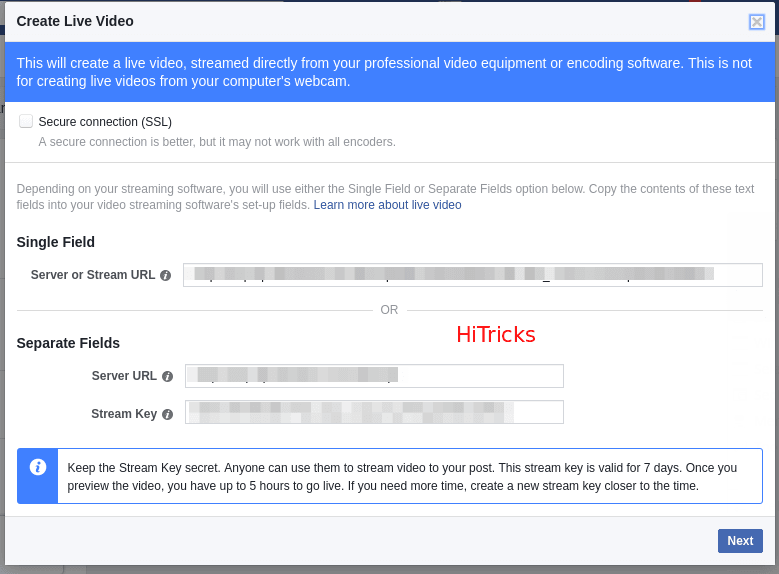 Insert your Facebook Live Stream Key which you got at the end of Step 4, on the Stream Key Section. Now, click on Apply and then click on OK.
Now, you will come to the main screen of this software. It should look something like this. Then click on Browser Source. You shall find a popup asking you to name it. Give it a suitable name. Now you shall find another popup. It will look like this. Click on the Local File Checkmark. 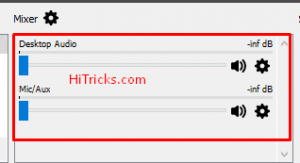 It will give you a space for adding a local file. 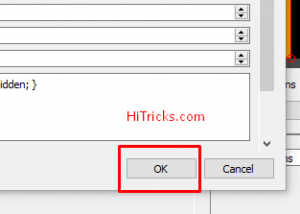 Click on the Browse Button and choose the Index.html file that we downloaded in Step 2. Optionally, you can add more CSS Codes if you know CSS, but this is not required. Now you will come to the main screen of the software. You can see the preview of your live stream page there. You can resize the image to fit the screen as per your need. As a reminder, let me tell you, you can change the background image to anything of your choice by replacing the background.png file with any other picture. Also, you need to replace the sample logo provided in the file logo.png with your brand logo. It will show up there. One last thing, if you don’t want your listeners to hear birds chirping or other sounds from your surroundings, then make sure you mute both the desktop audio and the mic audio from the OBS Software. The settings are at the bottom. Finally, when you are all done, click on Start Streaming. Most of your job is done. Now you just need to publish your video live, grab the post id and add to the index.html file. 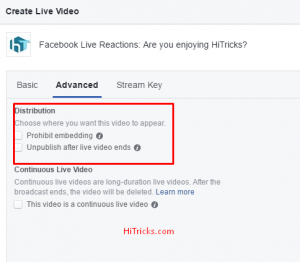 Go back to your Facebook Page Live Video settings. 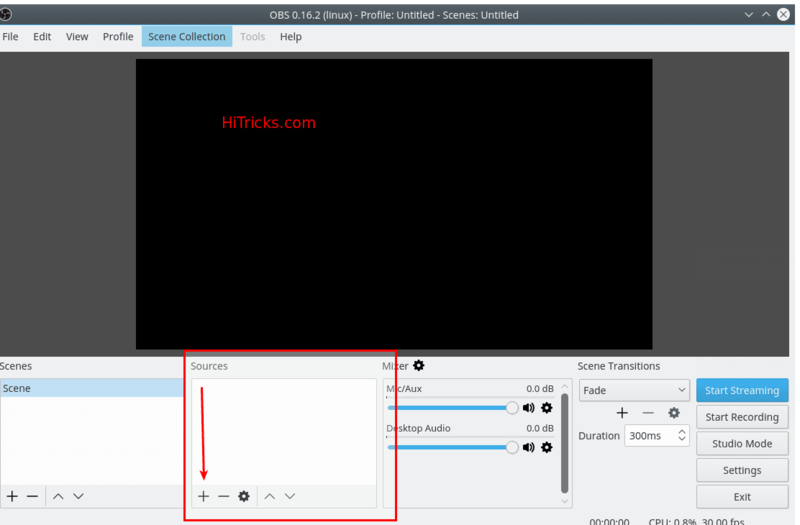 You shall now see the video preview over there if you have copied the stream url correctly into the OBS Software. 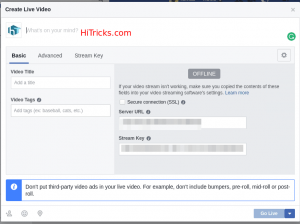 You can make some optional changes like prevent embedding and delete the video after it gets over etc. from the Advanced Tab. Click on Go Live at the bottom right of the popup; it will publish your video. All your potential fans will be targetted. Your video is now published. But it is not yet bringing the user interactions. As you can see below, the user interaction field is empty. Browse to the video on your page’s timeline and copy the post id of the video. If you don’t know how to find the post id of the video, right click on the time of the video (it will say ‘Just Now,’ right click on the ‘Just Now’ Button) and copy the url. Paste the link on a notepad as text. It will look something like this. 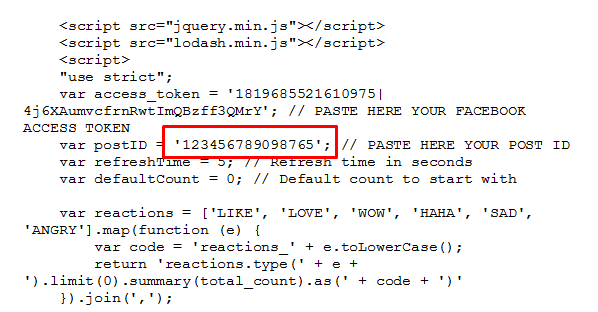 From the link, you can easily find out the post id. See the highlighted area. Now, once again open the index.html file and add the post id to line 106 of the file in the highlighted space. Now go back to the OBS Software main screen. Double click on the Source. The Source Popup will appear. On this popup, click OK. This will refresh the live stream, with the post id update. Now the live stream will grab the user interactions and display it accordingly. Stop your video whenever you want. 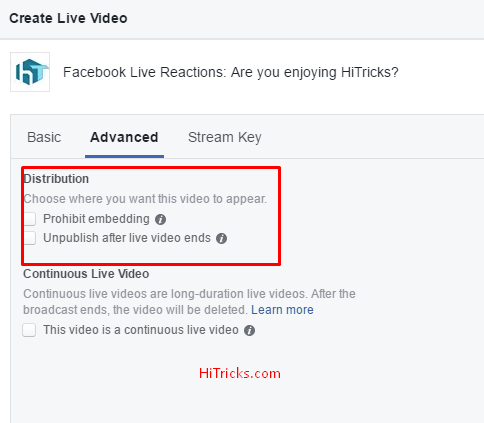 To end a Facebook Live Video, at first, you need to stop the live video from Facebook, only after that; you should stop streaming from the OBS Software. 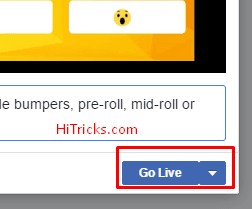 Go to your Facebook Video Popup, click on End Live Video. Another popup will come asking you to confirm that you want to end it. 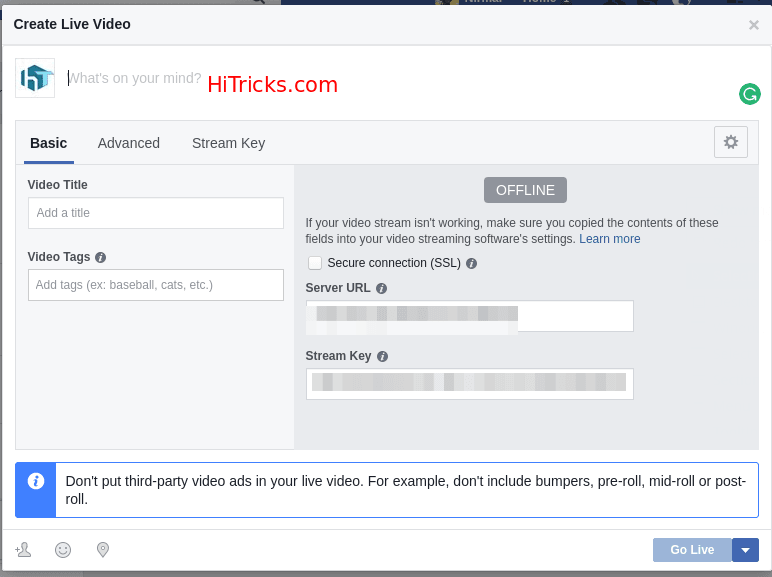 After the live video ends from Facebook, you can return to the OBS Software and click on Stop Streaming. At first, I gave a Love Reaction in the video. After some time I got a Wow reaction in the video. It was reflected on the live stream soon. I tested the video for a very short time. At the time of ending the video, I got 1 Like, 1 Wow and 1 Love (given by me) reaction. Well, my step by step tutorial with pictures on How to start a Facebook Live Reaction Poll Video ends here. I guess now you can create your Live Video yourselves and take user interactions. 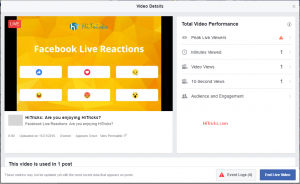 Think of fascinating topics on which you can start a poll on Facebook Live. 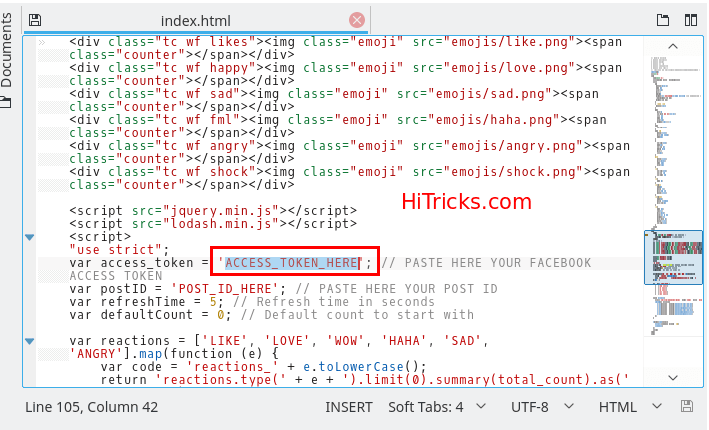 You can easily modify the index.html page like you wish and remove the reactions you don’t want to add. So, the next time you need a vote on something, make sure you conduct it on Facebook Live. Thanks for reading my post. If you have any queries, then you can write it down in the comment section below. I will be happy to help you out. If you want to thank me, then you can do that too. I will be back soon with a new topic. That’s all for now. 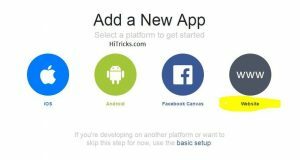 Before you leave, don’t forget to check out some of my other posts on HiTricks. Thank you so much for posting this. I’ve been using it regularly for a while now. This last month I noticed that the number of votes for each emoji are no longer displaying and updating in real time on the video. I didn’t update the code and the post ID is correct. Do you know if Facebook changed anything that might be keeping this from happening? Ah Nirmal, can’t find which is an ad and which is the content of the post. Disturbing boss. Awesome article BTW. A very useful explanation, but as others here, the count is not working. It is not even showing ‘0’ in the beginning. I checked everything. 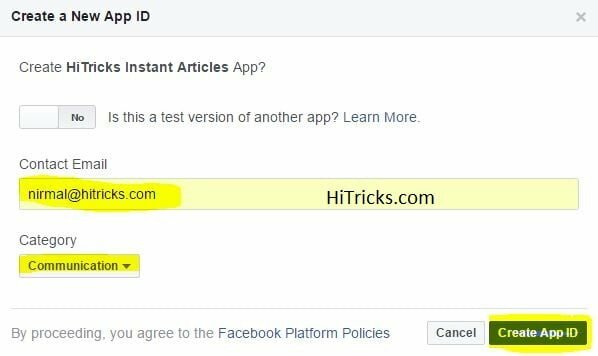 The postID is correct.. the Facebook acces token as well. Any suggestions? I am not able to download the zip file, could you please send it to my email? 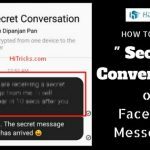 I tried your method with the above steps and succeeded very well – great step-by-step article! Thanks. I would like to ask, if I would like to make a facebook live reaction with just 2 emojis, what would I need to do? Similarly, if instead of the background I would like to put 2, or 3 photos (and therefore 2 or 3 emojis), what do I need to have/do? Many thanks! Keep up the great work. I’d config and stream working. 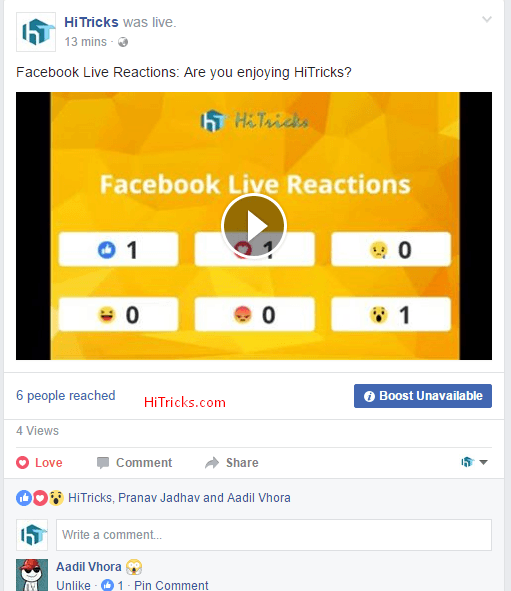 But number of don’t update realtime when user click on reactions. You can help me. I’d update post id, after I’d check file index.html in browser, it’s number is updated. After I’d update source in OBS but video on live stream not update number like ..
when trying to download file gives you a stack of malware software. 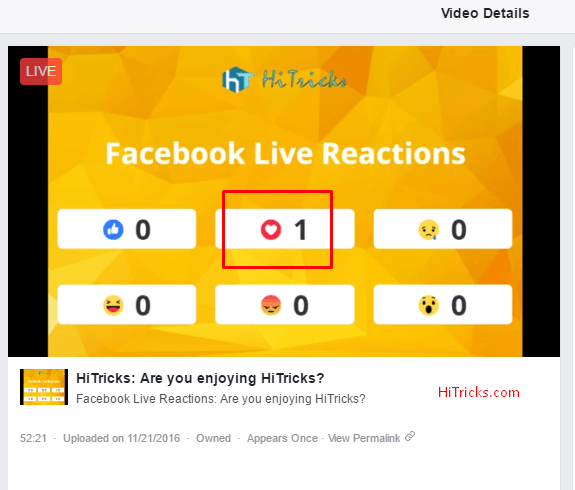 Hello, is it possible to embed a Facebook Live Reactions Poll in a website? Is there an API for that? Hope you can help me, please. Thank you. Thank you for your response! What happens to the embedded livestream in a website in case it has ended? Like will the website visitors be still able to play and watch the “already done” livestream? Is that possible? 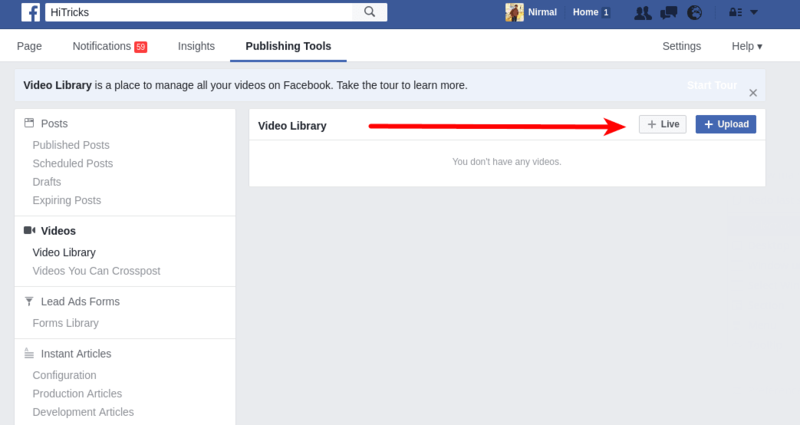 I made all things like you mentioned, but in my facebook video setting, the “Go Live” option is not working as well as no video preview showing. I could only able to add that server key and unable to add server url becasue its showing only default. Please comment on this issue.